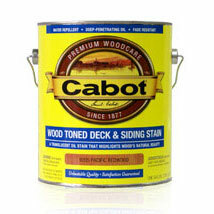 Cabot Wood Toned Deck & Siding Stain is specially formulated with a unique blend of resin and oil to provide a superior natural finish for bare wood. This distinctive product comes in five natural tones that not only sustains the natural beauty of exterior wood, it also provides excellent wood penetrating protection against the sun and all d..
Cabot Wood Toned Deck & Siding Stain is specially formulated with a unique blend of resin and oil to provide a superior natural finish for bare wood. This distinctive product comes in five natural tones that not only sustains the natural beauty of exterior wood, it also provides excellent wood penetrating protection against the sun and all damaging weather elements. It's water-repellent, to keep moisture out and guard against warping and checking, plus it's mildew resistant. Easy to apply requiring just one coat, Cabot Wood Toned Deck & Siding Stain slightly darkens wood when first applied leaving a flat and translucent finish. The finish then slowly weathers with time to a natural wood hue depending upon the color of product chosen and the particular wood type on which it was applied. 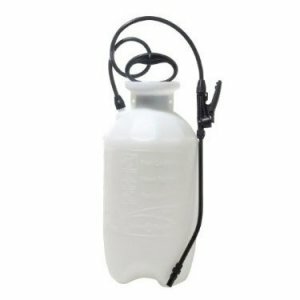 On smooth surfaces, approximately 400-600 square feet per gallon; on rough surfaces, 200-300 square feet per gallon. These rates will vary depending upon the porosity of the surface. 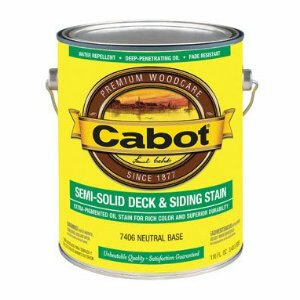 Cabot Wood Toned Deck & Siding Stain is for use on new or reconditioned wood only, including decks, siding, roofs, shingles, shakes, trim and on log homes. Cabot Wood Toned Deck & Siding Stain can be applied to all natural wood species such as cedar, fir, pine, cypress, spruce, redwood and plywood, including Texture 1-11, and will produce outstanding results on all premium grade lumber. It can also be applied to pressure-treated wood.